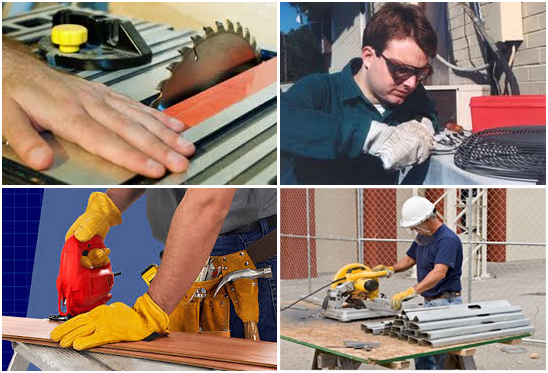 Once the work area is safe, Personal Safety is next. 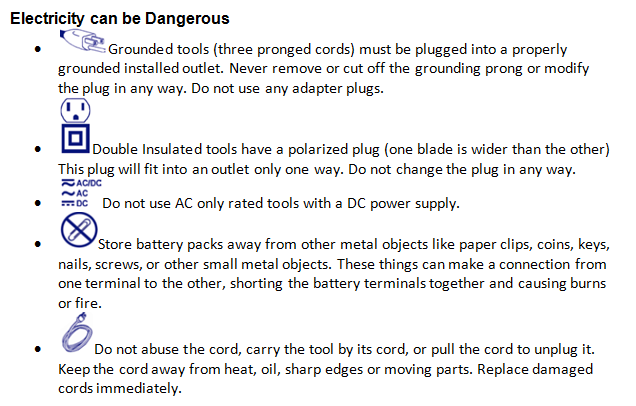 Following good safety practices when using all power tools is a must. Make a habit to practice safety in all of your activities. Up next is the main dish, doing the job safely. 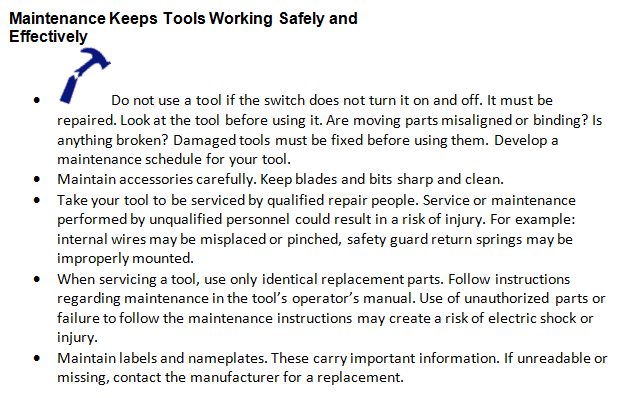 Nobody wants a tool that serves to do just a single job, therefore, regular maintenance can keep tools working in a safe, effective and lasting condition. 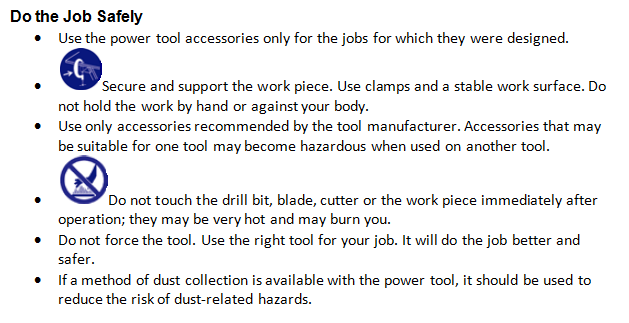 Once the job is done, the tool should be quickly stored out of harm's way. 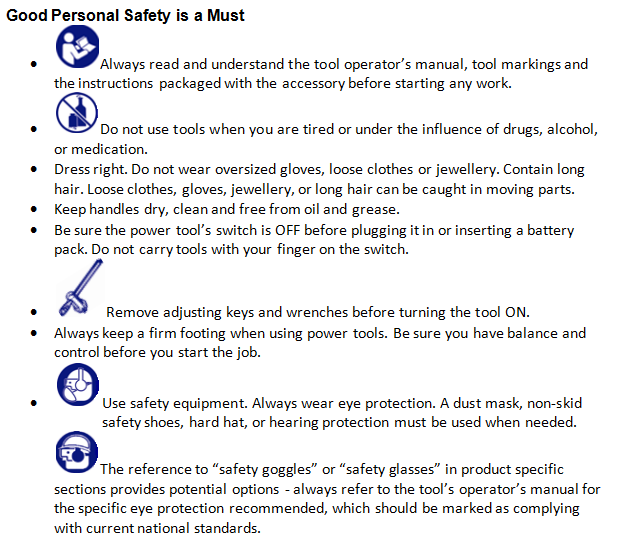 All power tool accidents can be prevented if everyone around and the one using play their part in ensuring that the right measures and precautions are taken. Always remember that SAFETY is the number one priority!